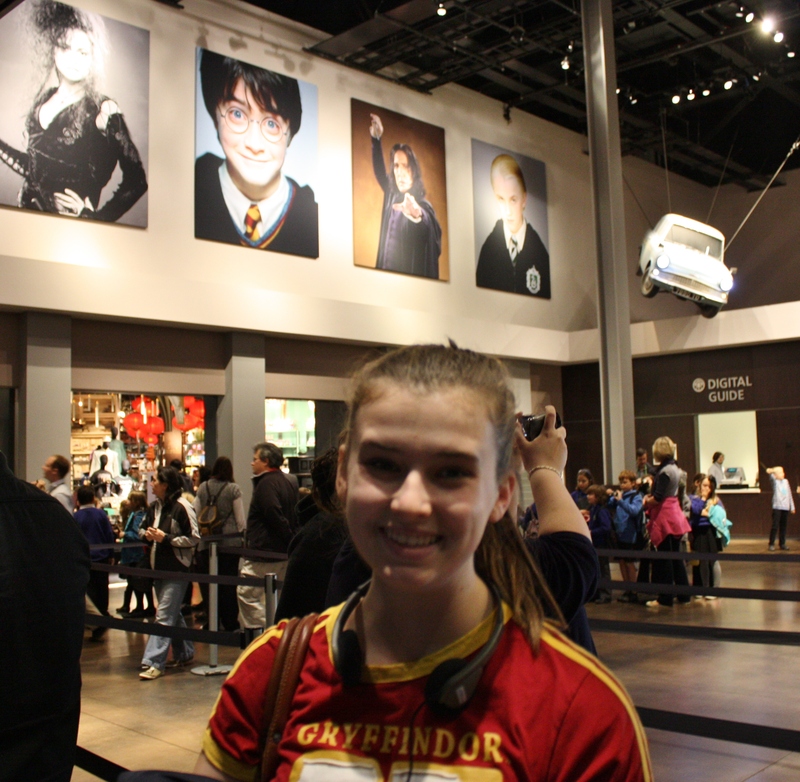 As a huge fan and aficionado of all things Harry Potter, Logan loved The Making of Harry Potter tour. 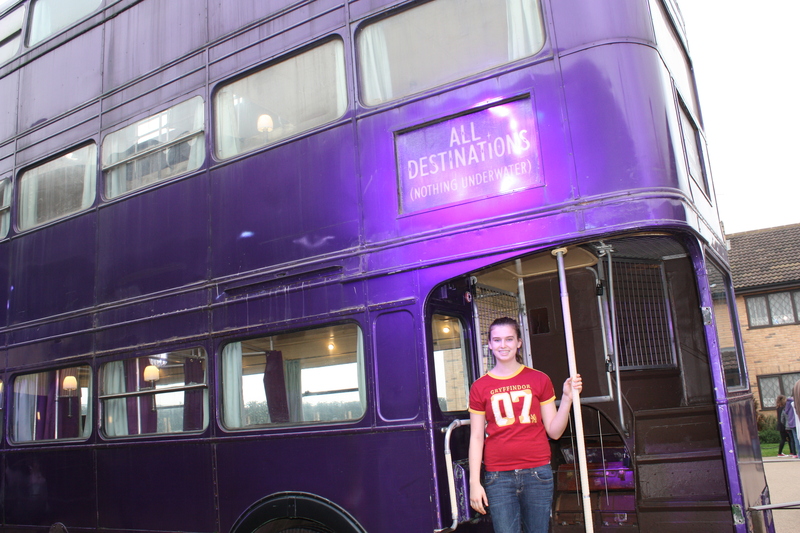 Our adventure to The Making of Harry Potter began when Logan and I caught the 9:05 am train to Watford Junction then took the studio shuttle bus (£2 RT) to Leavesden where the movie lot is located. 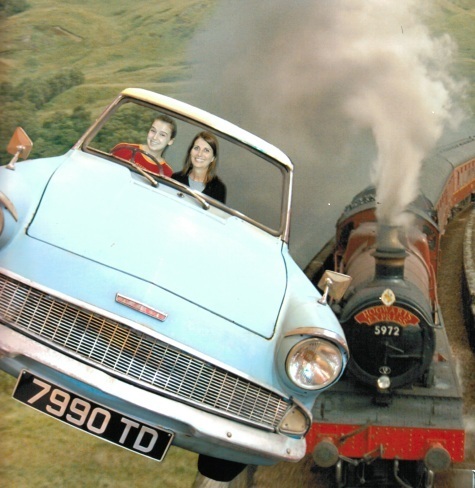 The train ride from London takes about 20 minutes. The shuttle bus stop is out the front entrance of the Watford Junction train station and to the left. The shuttle ride was about 15 minutes (including wait time). Tickets for the tour must be purchased online but can be picked up at will-call if there’s not enough time to receive them in the mail. Adults are £28 and children (5 to 15) are £21 but I purchased the souvenir book and the audio guide for Logan so her ticket was £30.75. As you enter the building, there’s a cafe and a Starbucks. Backpacks/large bags are not allowed on the tour so there’s a coat/bag check as well. At your scheduled time, you queue up and they let about 40 people in at a time. I would highly recommend going on the first tour of the day so there’s no one in front of you. We were on the 10:30 tour and it was crowded overrun with kids on bus tours. Give yourself about three hours for the tour. A brief (maybe 5 minutes) movie is shown with Daniel, Emma and Rupert explaining what it was like on set as well as what to expect during the tour. 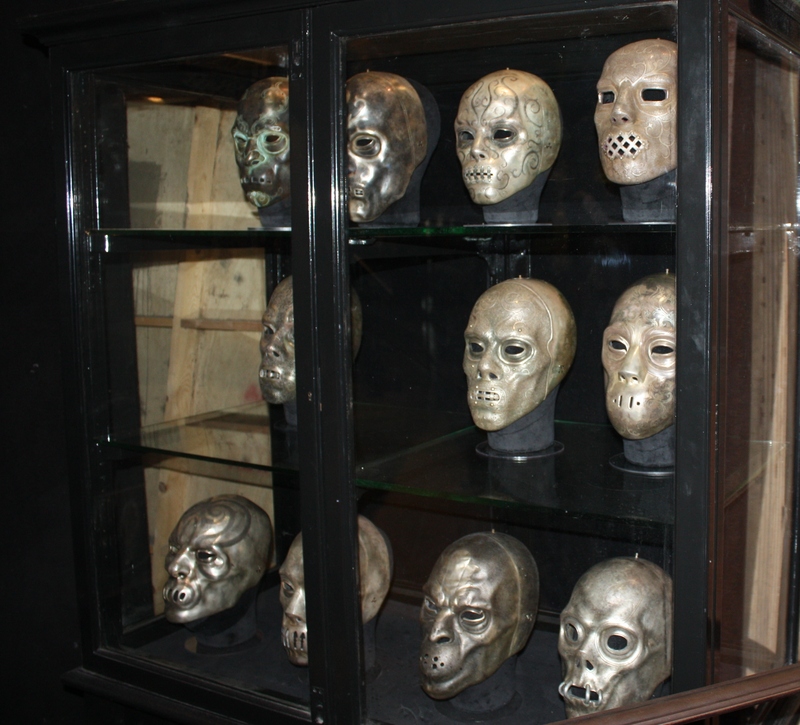 I liked that they acknowledged the thousands of cast and crew, from the hair & make-up crew to the other actors. 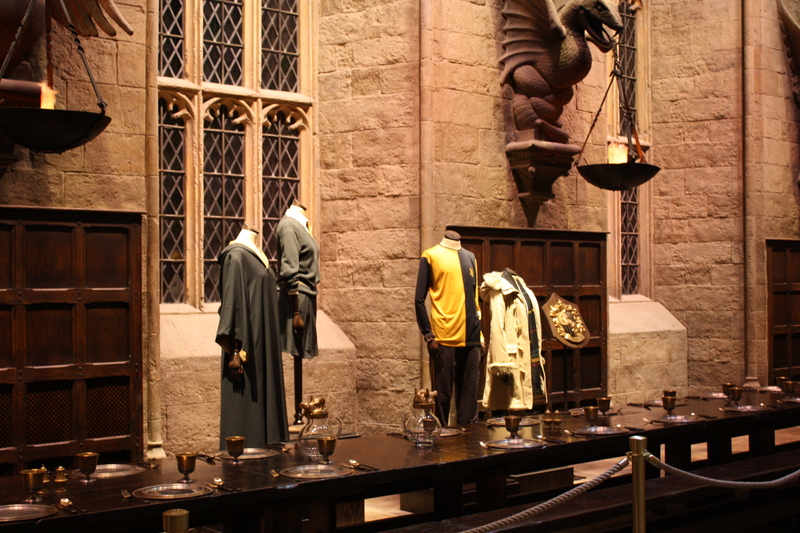 It was heartfelt and, since it was such a large part of their formative years, it was probably a good way to end their time at “Hogwarts.” If you go, sit in the front row so you’ll be the first one into the Great Hall and have your camera ready. You’ll be able to take a photo without anyone else in it ~ as long as you’re fast! 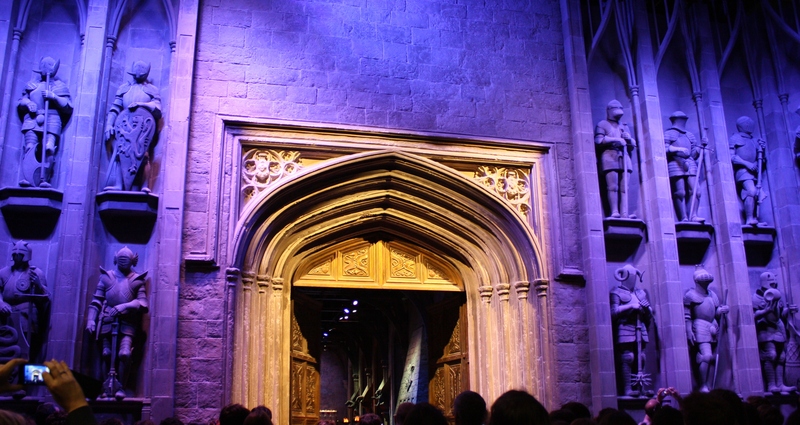 They only let one group at a time into the Great Hall so you’ll only have about 5-10 minutes to look around and take photos before they shoo you out. 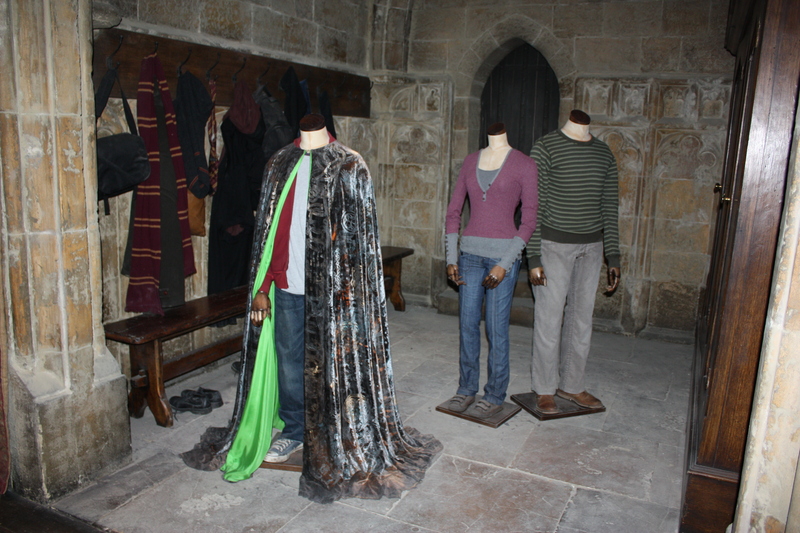 Then it’s onto the “museum” with all the original costumes, props, sets, etc. 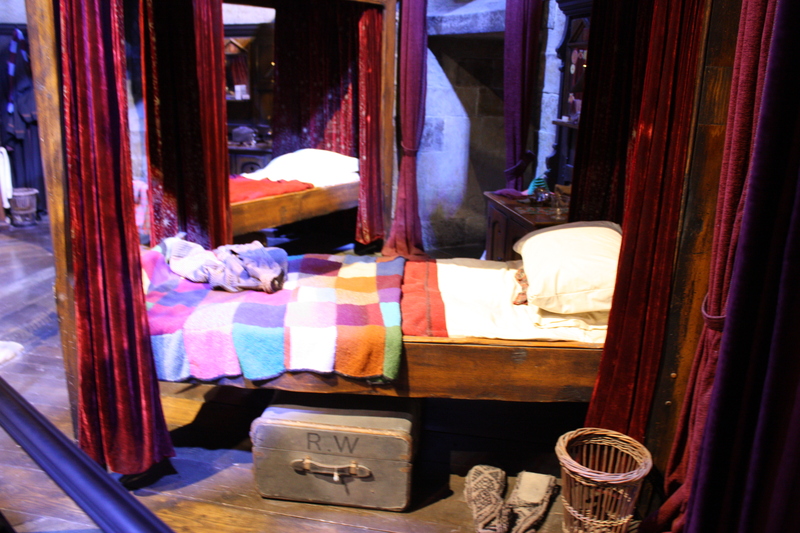 The sets include Gryffindor Common Room, the boys dorm room, Hagrid’s Hut, Dumbledore’s office, the Potions room and parts of the vast Ministry of Magic (including Voldemort’s Magic is Might statue). There was so much to see and Logan took a little longer since she had the audio guide. I sat and relaxed on the bench with the other “older folks” but I throughly enjoyed watching the younger kids eyes light up when they saw an item they recognized. 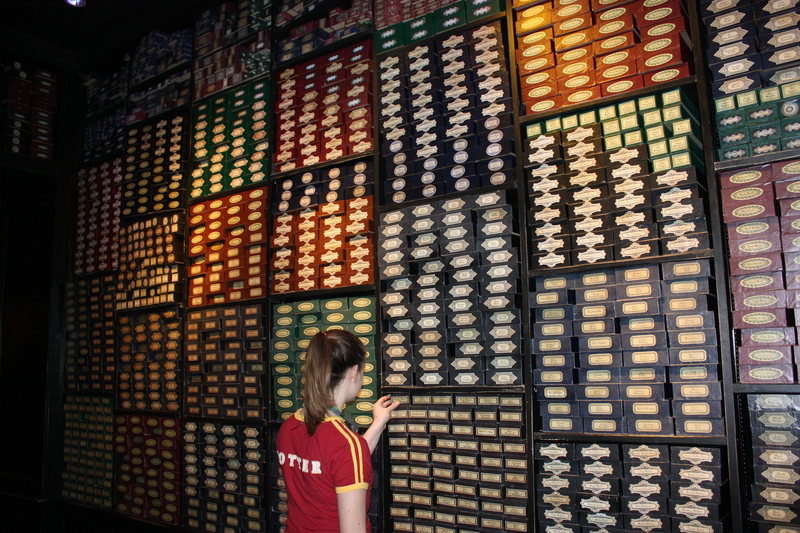 A fitting end to the tour is the room with shelves with thousands wand boxes (a la Olivander’s Wand Shop) with the name of a cast or crew member on each box ~ a “credits” roll. Really a nice touch and nod to all those involved in making the magic happen. looks like so much fun……. couldn’t do that on the beach. enjoy your stay in the UK. There are definite advantages to being Displaced Beachbums ~ enjoying all London has to offer is #1 on the list! It was a lot of fun. 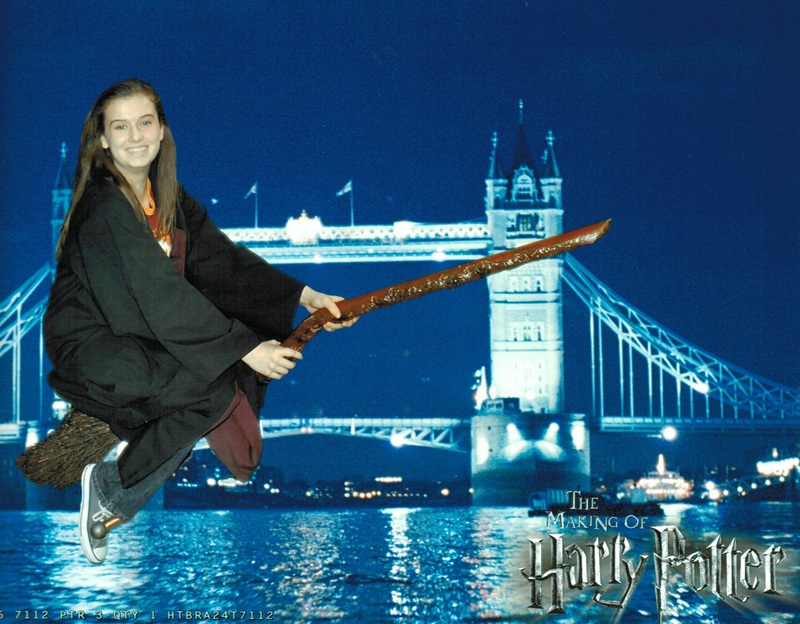 My favorite was the green screen where the photos were taken.